Milestones - SHENZHEN YOUTHTON TECHNOLOGY CO . , LTD .
Company established, using the name Fibertom. Produced 100M-1.25G SFP CWDM DWDM. cooperated with Chinese famous communication equipment company. cooperated with European telecommunication operators. Produced 10G SFP+ serial, 10G AOC, 40G AOC. 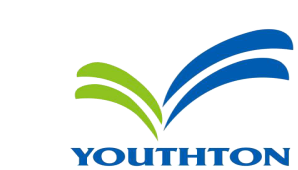 changed the name from Fibertom into Youthton. Producing SFP28 serials, QSFP-100G-CWDM4 , QSFP-100G-LR4.